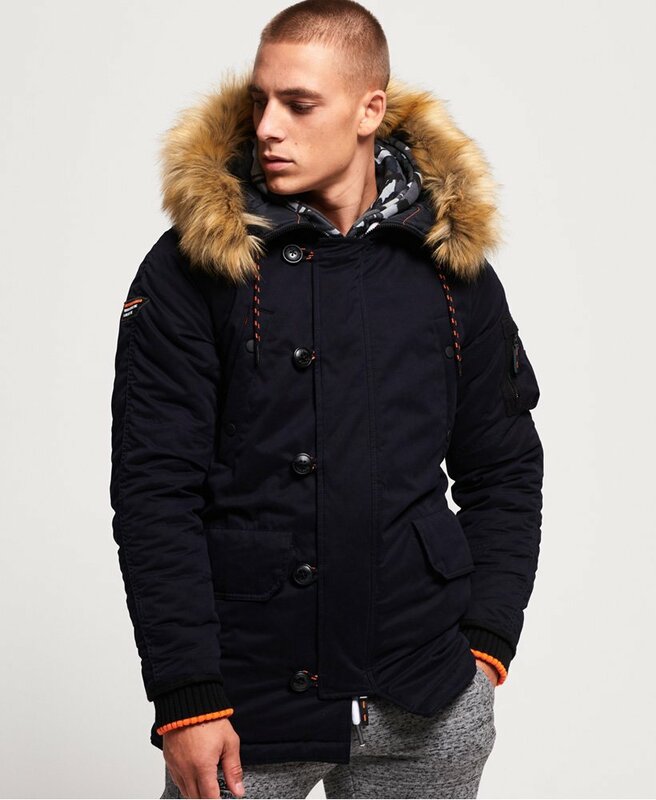 Superdry men’s SDX parka jacket. Wrap up in the SDX parka jacket, featuring a drawstring adjustable hood with a removable faux fur trim, six front pockets and a zip and button fastening. This parka also features a zip fastened pocket on the sleeve, ribbed cuffs and a drawstring waist, so you can adjust the jacket to fit you. Inside, the jacket has a quilted lining for ultimate warmth and a handy pocket, perfect for storing your wallet. The SDX parka jacket is finished with a Superdry logo badge on the sleeve. Throw this jacket on over anything for effortless warmth.